As I type this, Cuba and the USA have agreed on lifting and changing the embargo that restricts the importing of goods and people to Cuba. The coming years have the potential to bring great change. 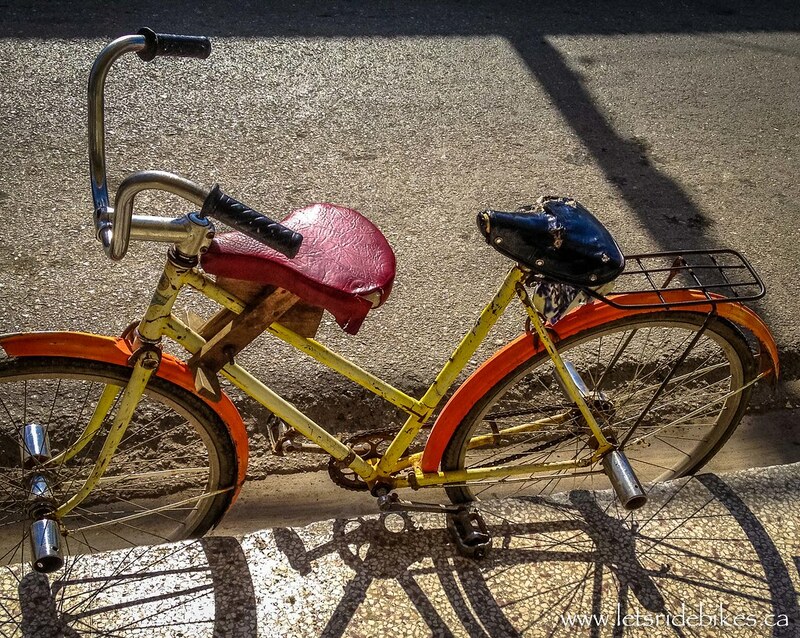 Amanda writes:I’ve waited almost a month after visiting Cuba to post my thoughts about the Country. When we went to Cuba I wasn’t really sure what to expect. I had done some research. 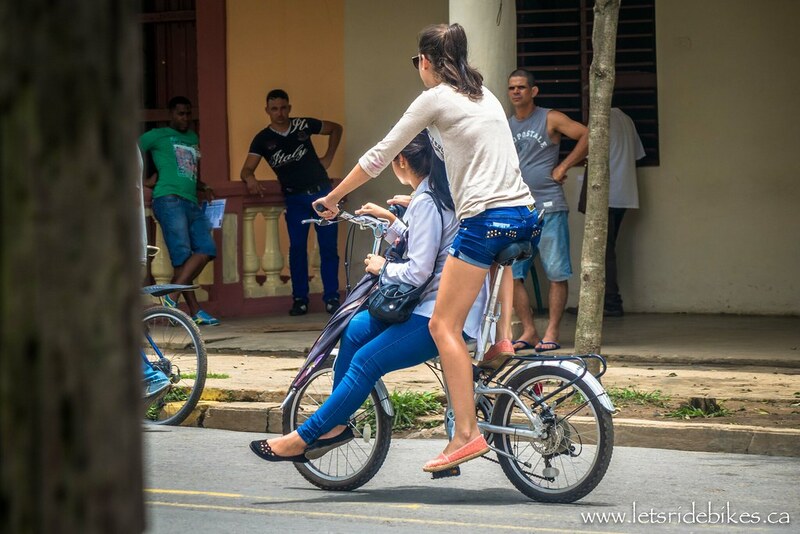 I knew that it had good reviews from cyclists and that we were keen to visit it before the US embargo was lifted. I thought that things might changed after there was more freedom regarding what is imported into the Country. Our first week we spent at an all inclusive with family. Most Canadians visit Cuba in that way so we figured we should do the same so we can comment on that aspect. We enjoyed the sunny white sandy beaches and resort atmosphere along with spending time with family. While the resort was nice, it was just that; an all inclusive resort that you can find pretty much anywhere on the planet. We were eager to see the rest of the Island. We went to Cuba for two months and at the end of it we felt that may have been too long. 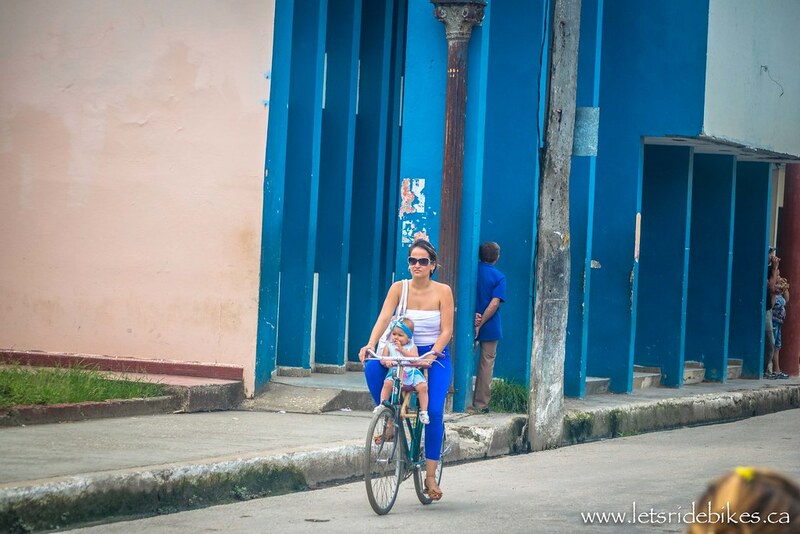 Most of Cuba is similar and beautiful. Being a small Island much of the routes are near water. The views can be spectacular, particularly on the South coast. Cuba was different from any other Country we have visited. The people were pretty unsure of us and we weren’t sure if it was because we were foreigners or cyclists; likely a combination. 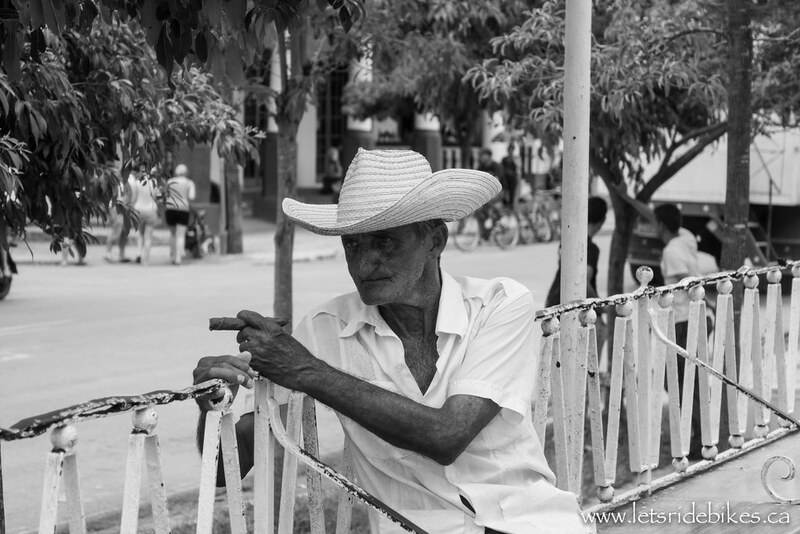 The towns and villages throughout Cuba were similar to each other, along with the people. 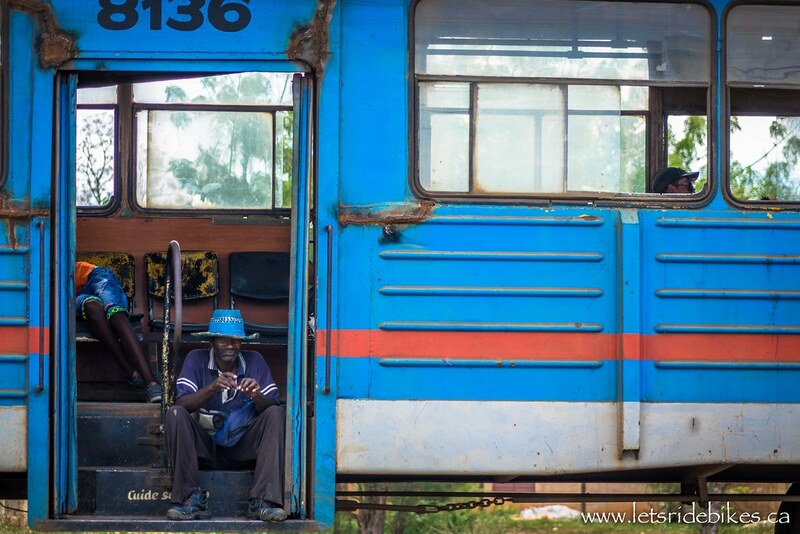 The more we travelled the more we became comfortable with talking with the locals. We enjoyed the low number of cars, horse carriages and local cyclists sharing the roads. The culture really lends itself to cycling and it is more common to ride your bicycle daily for work, tasks and otherwise than to own a car. We enjoyed that aspect of Cuba very much. As a cyclist you have the right of way on all roads; farm road, city street or main highway. Local Cubans struck me that they would be fine with or without us there. Some were very friendly and most that were super friendly turned out to want something in the end. I get that as Canadians we are considered far richer than them, however it was hard for me to usually be viewed as a rich person. Most times I felt awkward. While I understand that our money is valued higher than theirs, I’ve of the mind it’s all relative. Let’s say we make $2000 a month and pay $1500 for rent that would compare to a Cuban making $5 a month and paying $3 a month for rent. While the two numbers are very different, proportionately that are comparable. So while we make more it was frustrating that people just viewed us as having more money and expected us to pay more. I struggled with the two currencies and expectation that we pay more because we were foreigners. Things I learned in Cuba and interesting facts. 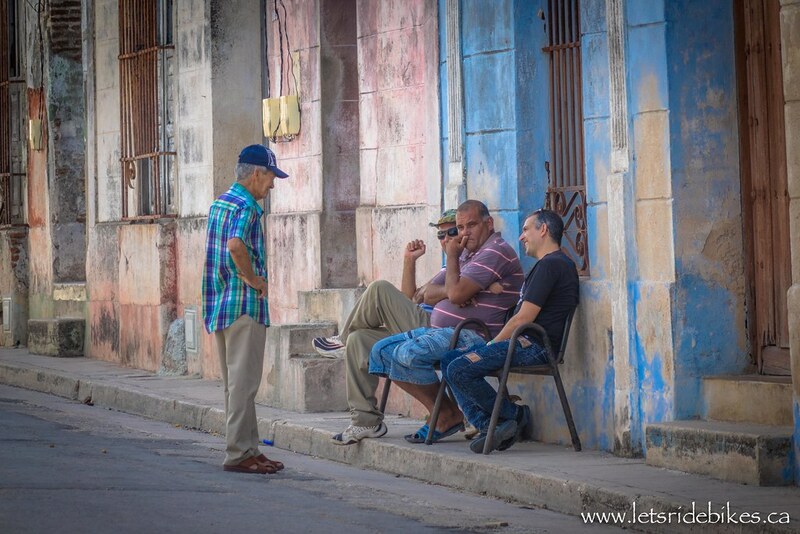 when we came to Cuba everything we read said that music is such a big part of culture. Aside from one night in Southern Cuba where there was live music and dancing on a Saturday night, music was not easily found. As is common in Canada you could stroll down a street and hear music coming from a house and see people inside dancing; but the allure of music in the streets wasn’t easily found in any city after two months of travelling. Most places we visited the people roaming the street were of male gender. The people in the sports fields were male and the people in line at stores were typically gender. The more time we spent in Cuba the more we came to realize that in Cuba it is common for women to graduate from school and bear children and raise them in the home. It is uncommon for women to mingle in the streets and play checkers and dominoes as it is for men. It is uncommon for women to walk about the town and chat and shop; we only saw women in shops on occasion and at that; they were headed straight back home. Women rarely have an opportunity to participate in sports. 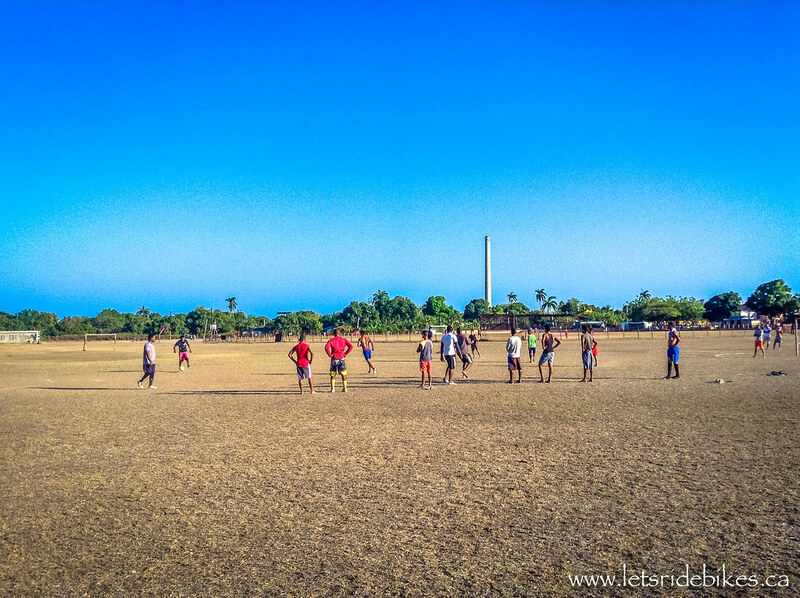 Baseball and soccer fields are quite common in Cuba. Even if they don’t have a formal steel goal post, they have something that represents a goal for soccer. People make it work and it is quite usual to see games on a field later in the day. It is not however common to see women. Not only on the field or as spectators. On one occasion Andrew and I went to watch soccer on a sports field that had soccer and baseball. I was the only woman. Not just playing, but as a spectator and I attracted quite a lot of attention being on the field. We asked a few locals and were told that the only real sport that Cuban women are encouraged to participate in is olympic wrestling and even that is rare. As women in North America we are very lucky to not only be able to participate, but to be encouraged to do so. As cars as uncommon, it is more usual for a family to have bicycles. 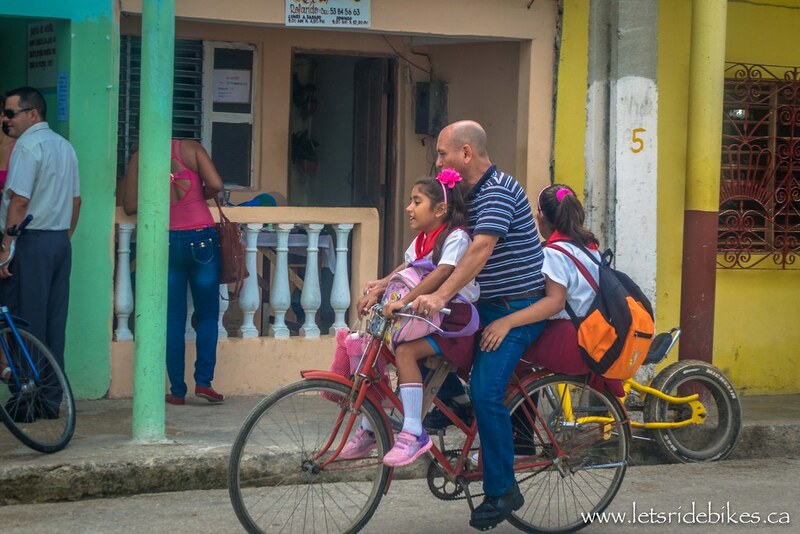 As a part of the custom in Cuba, most families do their daily chores and commuting via bicycle. 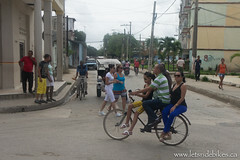 It was very interesting to see how many people or how many things people can fit on a bicycle in Cuba. 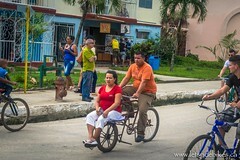 See the Flickr feed below to see how much one can hold on a bike in Cuba. It is more common to see this, than a car. In North American people are rewarded for car pooling by gaining access to the car pool lane. In Cuba I’m left feeling like you would be shamed by having less than 4 people in your car at one time. Most cars would be filled to maximum capacity plus 5 and public transportation would accept people until the vehicle is unable to move. Pictures below show some examples. We were informed by local Cuban’s that someone wearing a ring on the ring finger of their left hand indicates they have a boyfriend/girlfriend. A ring worn on the right hand of the right finger indicates you are married. Quite the opposite of North American custom. The first time it happened we were shocked and figured it was just the person. After the fifth occurrence we realized it was just part of the culture. Speaking with someone and making eye contact while they pick their nose, dig deep and pull out a big booger and inspect it and flick it; all the while continuing a conversation with you appears to not be uncommon. 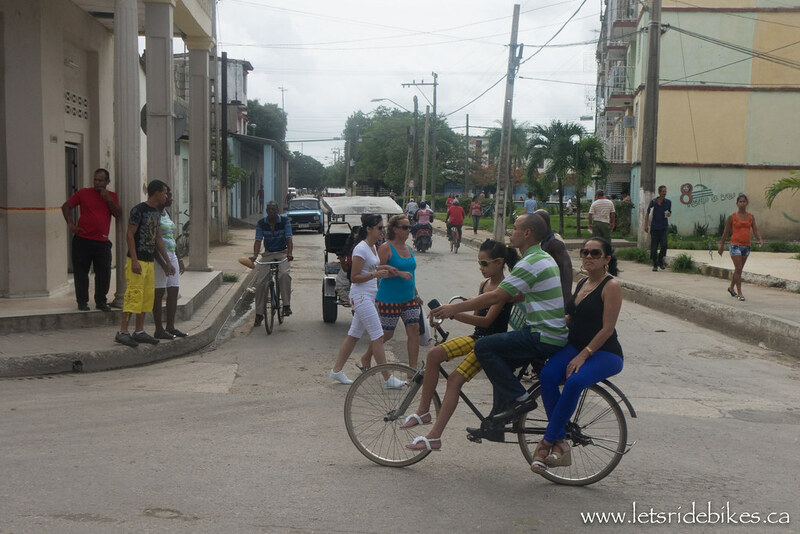 Cuba Offline Map – We were able to navigate where we were going with some patience and off-line access using Cuba Off-line maps. It would take about 2 minutes to locate us using satellite tracking before it would be able to help us but we never got lost using this. This map was used daily from the side of the road making sure we could navigate where we were headed. Very worth the few dollars to use it. iCuba Light. This map was used for general planning and not so much the detailed aspect. It was very useful for us in the night before in terms of planning our route and destination. Any Spanish/English translator book is useful when you’re traveling. Just being able to navigate words and communicate is very helpful. Vida Lingua was the app we used and it was great. We brought a tent and while we only used it once we wanted to use it more. There are lots of opportunities to use it and it is not illegal, just uncommon. Had we packed more cooking supplies we would have camped more; the two go hand in hand. Pack them! We didn’t bring them and wish we had. Finding food and good food can be challenging depending on the time of day. 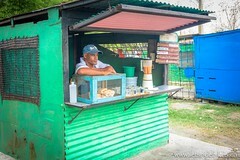 Cafeterias and road side food stands often closed by 2pm. And even when they were open the food options were often not very appealing. By bringing your cooking supplies you provide yourself some flexibility on when you ride and where you ride to. You also provide yourself with some options in terms of where you sleep. 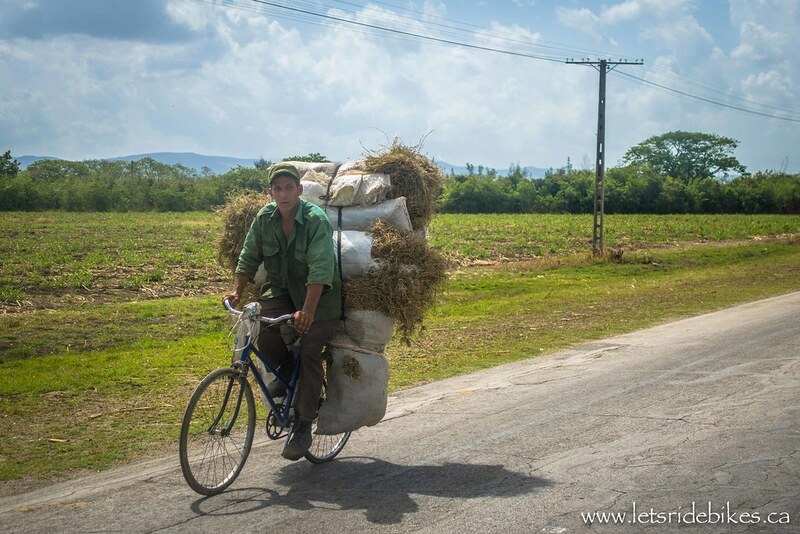 Usually cooking supplies are light; bring them to Cuba. Even if you only use them them a few times, I think you’ll be grateful. Finding somewhere to eat was challenging at times. Not every town has somewhere to eat and even if they do; it can be sketchy. The lack of assured eating options was concerning at times and had we packed cooking supplies we may have ridden with more confidence. We usually ended up finding somewhere to find food, however the food was; simply put, crap. Pan con … something. Pan is bread in Spanish. So it was a bun with a cold hot dog, or a bun with part of an egg, or bun with day old ham. The bun was laced with sugar and at the end of two months I didn’t want to see another piece of bread. Fruit was found easily when in season. We were fortunate enough to be there in mango season so I loved it, but no oranges, no apples, no red tomatoes, or cucumber; just bread. Even Andrew was left craving veggies. I mentioned before that as Canadians we are viewed as rich. I get that comparatively we are rich, however I came to Cuba knowing that my money would go further. Once the Cubans realize you’re Canadian they’re trying to get every extra penny out of you they can. Just when we felt like someone was being nice to you because we were nice; they would rip us off. 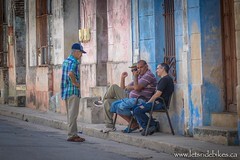 I made friends in Mexico over 5 months and after 2 months in Cuba there are very few people I would reach out to because most of them tried to rip us off in the end. We had hosts in Sancti Spiritus and Guanabo that were honest people that we felt were friends; outside of that everyone tried to take us for money. It was hard for us because we like making friends; and knowing people are only being nice because they want to take you for everything your worth; is heart breaking. My recommendation to anyone traveling is write down the price in front of someone after they say it. Even if you speak good Spanish or they speak good English, write it down so that you both see it; no argument later. Numbers are universal. 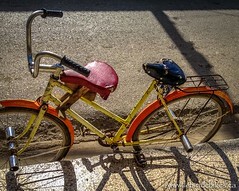 Cuba is a beautiful place to ride and I will be sharing my GPX files and literal and factual route data shortly for others to enjoy. We also blogged for almost every day of our trip and you can see those details in posts from April to June 13th, 2015 at www.letsridebikes.ca. Until then, don’t be discouraged to visit; just be aware … it’s different. Cycling is safe and beautiful and be prepared. A soldier? rides past with bundles of grass loaded onto his bicycle; Guantanamo, Cuba. 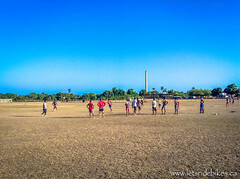 Playing sports is universal. No idea how they knew who was on what team. Off in the distance the smoke stack as the only remnants of the closed sugar factory. 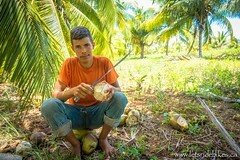 A young Cuban man, Daniel, sits amongst a pile of coconuts, carefully collecting them, and filling a bottle with their milk. A man sits inside his cafeteria, waiting for customers. 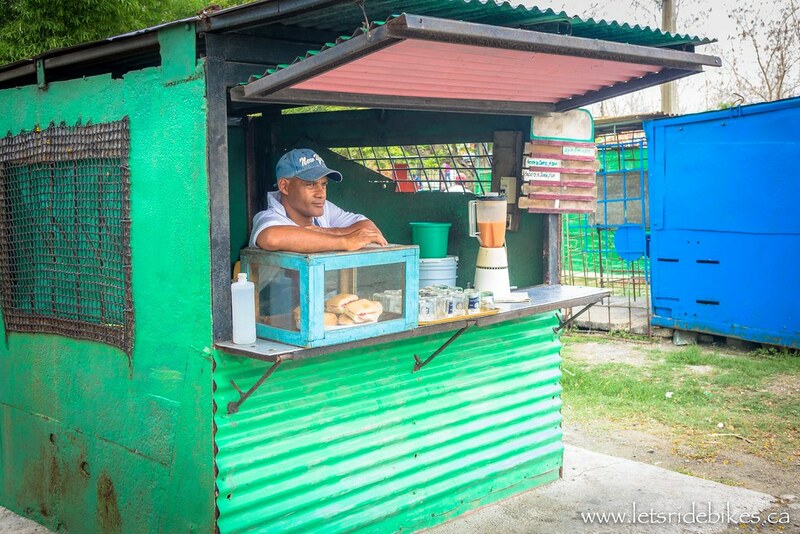 He sells sandwiches for $0.25, and fresh fruit juice for $0.10. 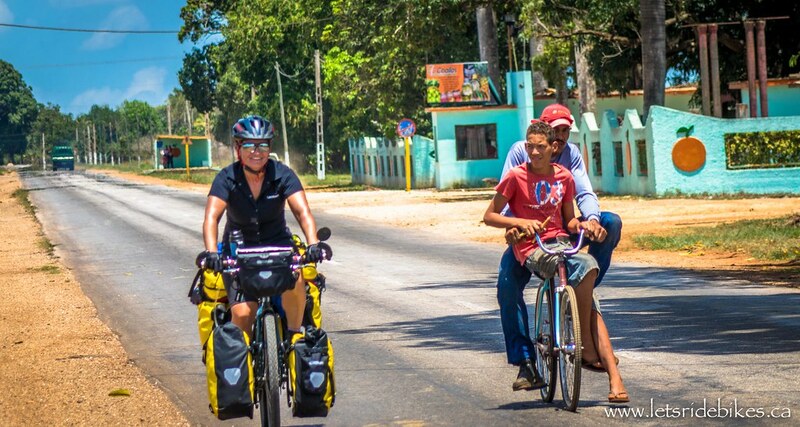 Amanda, getting passed on the road to Ciego de Avila, Cuba. 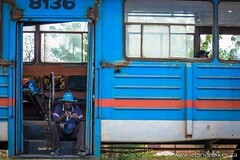 Waiting for the train, in Palma de las Hoyas, Cuba. Lots of bicycles have been modified to carry many people. or cargo. In this case, there could be as many as three people onboard.